Recently, we published our fall 2018 edition of the outdated pieces you should be purging from your closet. Suffice it to say, you all came prepared with a range of strong opinions from your steadfast loyalty to trends we recommended tossing to a reminder that people should continue wearing whatever the hell they want. We’ve heard you and we couldn’t agree more. As a small disclaimer, we interpret our content as suggestions rather than a strict set of rules. And at R29 we’re nothing if not big proponents in saying F*ck the Fashion Rules, even the ones we write about. Trends come and go, moods change, and personal style evolves. The changing season is a time to reconsider what’s in your wardrobe. An introspective look at our closets is so much more than a tossing of a few fashion missteps, it’s a creative outlet and a chance for renewal. So this time around, we’re bringing you back the same story with a twist. Ahead we’re highlighting what R29ers around the world (not just our New York fashion editors) are purging and swapping from their closets this season. Use our opinions as inspiration for your own closet clean out, and give us a shout — we’d love to know what you plan on donating, keeping, or investing in right now. My personal style: Oversized, practical, and unexpectedly girly. I’m always trying to do Rei Kawakubo proud. I love finding gems that everyone else has overlooked. Half my closet is from charity shops, and the other half are things I’ve picked up from trips abroad. The item I’m over and why: Small crossbody bags taught me how to pare down and only carry the essentials, and I’ll forever be grateful to them! But now that it’s time for bulky winter coats, I’m tired of contorting myself in and out of my crossbody bag strap. I can’t do another winter of wrestling with my purse each time I enter or exit a building. How I’ll be discarding it: Saving them! I can stack them inside one another, Matryoshka doll-style, and stow them in the back of my closet until spring. What I’ll be replacing it with: Fashion-y boat-and-totes. I picked up a fun one in Tokyo while I was there shooting the third season of Style Out There. It’s got a ton of pockets and zippers, fits everything I need for the day, and is unfussy without being too casual. Plus, it feels real ladylike to hold it by the top handles like it’s some sort of fancy lunch box — bonus points that it’s grab-and-go, too. No wrestling required! COS Glow-print Padded Tote Bag, $89, available at COSPhoto courtesy of Cos.
My personal style: If I had to choose one word to describe my style, I’d have to go with “borrowed.” The most stylish people in my life inform the way I dress from my mom’s vintage to my friend Michelle’s more daring colorful, layered looks. One thing that’s always consistent though is comfort and vintage. That and my love for finding a good sustainable clothing buy. The item I’m over and why: I have so many coats that ride up and pull in the wrong places which I’ve kept for no reason at all. I’m committed to finally retiring them this season. How I’ll be discarding it: I’m on a mission to sell or donate all of the clothing in my closet that don’t really fit me. 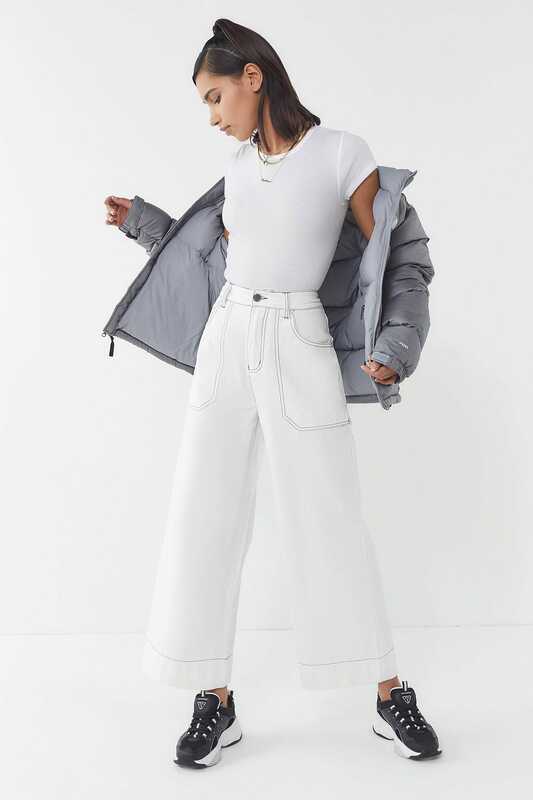 What I’m be replacing it with: I’m overhauling my wardrobe starting with straight leg jeans and a fun, statement puffer! 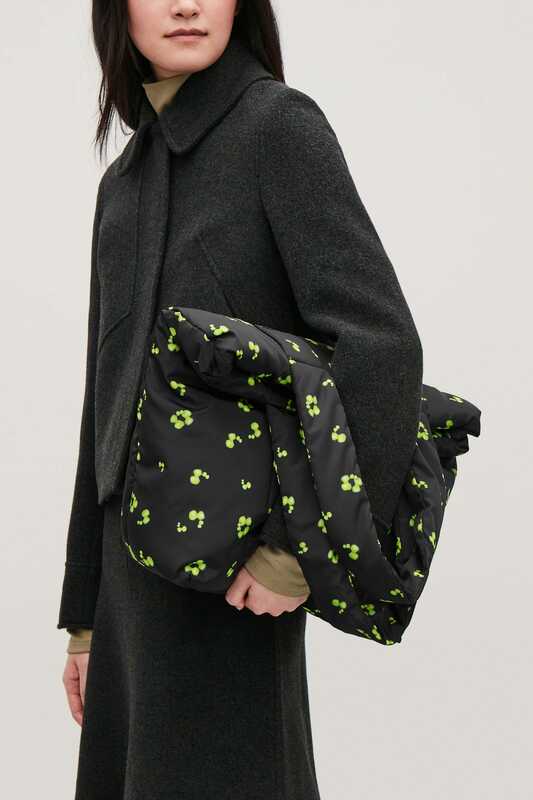 This one from Everlane that’s made of recycled plastic is on my list! 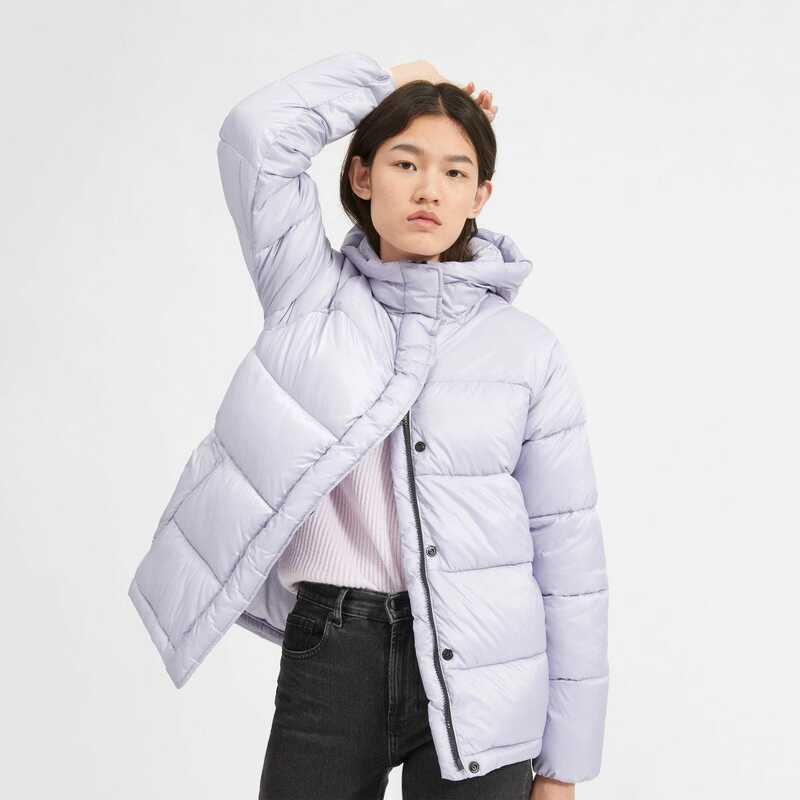 Everlane The ReNew Puffy Puff, $160, available at EverlanePhoto courtesy of Everlane. My personal style: Hyper-feminine-meets-grandma prairie dresses, prints galore, ’70s fabrics and silhouettes, vintage anything, plus the odd slogan T-shirt. The item I’m over and why: Cowboy boots. I so desperately wanted to be able to pull them off (they were everywhere, after all, so I thought I’d find a pair that suited me). Unfortunately my legs were shortened, rather than elongated by the Western style, and I never found a pair that were comfortable enough to storm around the city in! How I’ll be discarding it: If I’ve not worn an item, I’ll list it on Depop, but if they’ve had a few uses, I’ll take them straight to the charity shop. What I’m replacing it with: I’m super excited about the square-toed boots I’ve spotted everywhere this season. Add a glam-rock detail (think of Sies Marjan’s flared heels or Gucci’s horse-bit loafers) and I’m good to go! Topshop Hurricane High Ankle Boots, $170, available at TopshopPhoto courtesy of Topshop. My personal style: I try to look like the type of girl who might be spontaneously invited backstage at a rock concert — lots of leather, faux fur, shiny things, and ‘60s, ‘70s, and ‘90s influences. But I’m also a sucker for a pretty dress. The item I’m over and why: I spent many years in exclusively super-stretchy, skin-tight jeans, but thanks to Re/Done (and, if I’m being honest, Instagram), I’ve discovered the wonders of thicker, high-waisted denim. And now I fear I can’t go back. How I’ll be discarding it: I tend to donate the stuff without a lot of resale value and then try to sell pricier pieces on the The RealReal or Poshmark. But I also kind of want to have a big clothing swap! Can someone out there organize this on my behalf? I hate event planning but I have a lot of skinny denim to get rid of. What I’m replacing it with: I’ll definitely be investing in another pair of Re/Done high-rise straight-leg jeans, because they’re perfect. RE/DONE Originals High-Rise Stove Pipe straight-leg jeans, $250, available at Net-A-PorterPhoto courtesy of Net-a-Porter. My personal style: Kid Sister comfortable mixed with 30-year-old casual — mixing culottes with sweater crop tops, solid-color jumpsuits with vibrant accessories. My goal will forever be: How can I be the sexiest, most comfortable, confident babe everyday? The item I’m over and why: Anything with a floral pattern — like, I don’t know who I was when I bought that floral sundress that clashes with my primarily all-black wardrobe, but she needs to go. How I’ll be discarding it: I usually send my clothes to any and all plus-size specific consignment shops: Fat Fancy, The PlusBus, PlusBklyn. It’s really important for me to support my plus-size community as much as possible to make sure my clothes never go to waste — especially when the plus-size community is consistently underserved and under-resourced. What I’m replacing it with: All of the low-neck black sweaters, black jackets, black culottes, and black boots — mama needs a uniform. 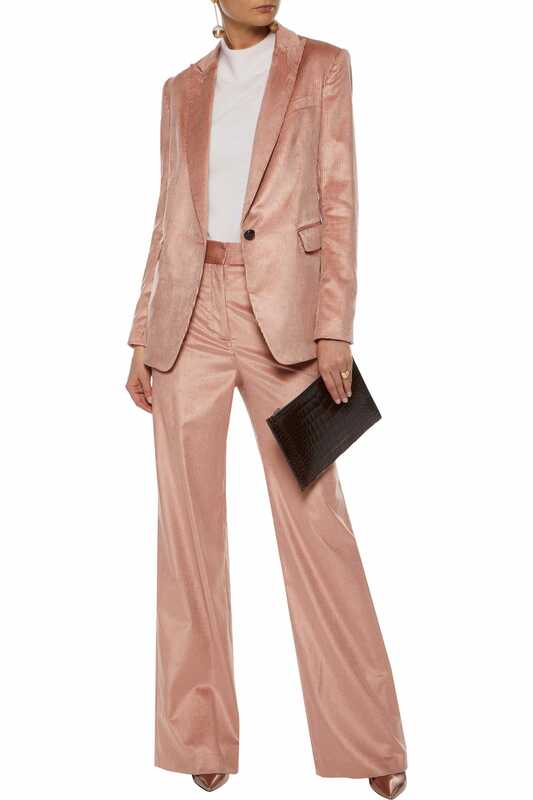 Jason Wu x Eloquii Tux Blazer, $119.95, available at EloquiiPhoto courtesy of Eloquii. The item I’m over and why: I’ve begun to ghost my status-quo jeans, which are usually cropped, probably with a bit of a flare. My ankles get cold, and it’s possible they’re a little too abbreviated, as in people might wonder if I’ve just hit a growth spurt. How I’ll be discarding it: I will most likely just push them to the back of my closet until I eventually remember to donate them. Then, on the way back from the charity shop, I’ll see something that makes me think of a new way to make them work. Then I’ll regret everything. What I’m replacing it with: Carpenter-y type denim with a break that actually touches the tops of my shoes! Or wider-leg trousers in weird colors à la Ganni. LF Markey X Urban Outfitters Carpenter Trouser Pant, $111, available at Urban OutfittersPhoto courtesy of Urban Outfitters. My personal style: I respect the classics, am interested in what’s trending, and love an exaggerated silhouette. I also care about where and how things are made and don’t mind spending a little more in consideration of my wardrobe’s origins. The item I’m over and why: I bought a pink Sies Marjan sweater on clearance late last season. I was temporarily pink-notized by all the pastel runways and millennial pink Instagram posts. When it finally got cool enough to wear it last week I realized I’m simply not a pink person. It’s still available on Barneys Warehouse if anyone’s interested! How I’ll be discarding it: Usually I tier out my discards: The RealReal for the designer goods, Beacon’s Closet for non-designer, and then donate or recycle the rest. But I gave the pink Sies sweater to our Fashion Market Editor Ray because I knew she would like it. 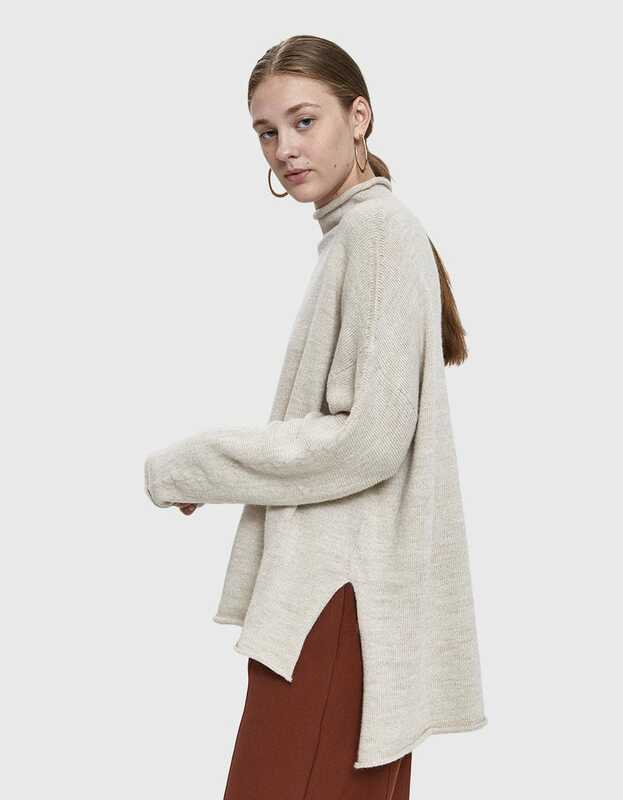 What I’m replacing it with: I’m on the hunt for a really good neutral oversized knit that I can wear all winter long. This item of clothing falls into the invest bucket because want it to be super soft, never pill, and have the perfect slouch. Lauren Manoogian’s pricey-but-worthy slouchy turtleneck sweater fits the bill. The baby alpaca knit is made by hand in Peru and I believe in her thoughtful brand ethos. I’ll wait to see if Need Supply will be offering a Cyber Monday promo before I pull the trigger though. Lauren Manoogian Oversized Rollneck Sweater, $370, available at Need Supply CoPhoto courtesy of Need Supply Co.
My personal style: As my style is very much influenced by the mood of the day, I find it hard to describe. If I had to, I’d say it’s a mix of edgy street wear skater-style meets Charlie’s Angels with a hint of Studio54 glamour. The item I’m over and why: As I was very much into the ’70s boho style up until a few years ago I let everything go with fringes. Except that one leather jacket from the Kate Moss x Topshop collection, which I had to keep. The style just doesn’t work for me any more. How I’ll be discarding it: While most of my clothes go up on Ebay, I sell the more sleeker styles via The Good Store in Berlin, a second hand store with a neat selection of zeitgeist clothing. What I’m replacing it with: I am a jacket fiend. One can never have too many statements jackets in their closet. A good, unique jacket can vamp up any simple jeans and a tee combo. Pro tip: take good care of a jackets and you’ll find they can last a lifetime. 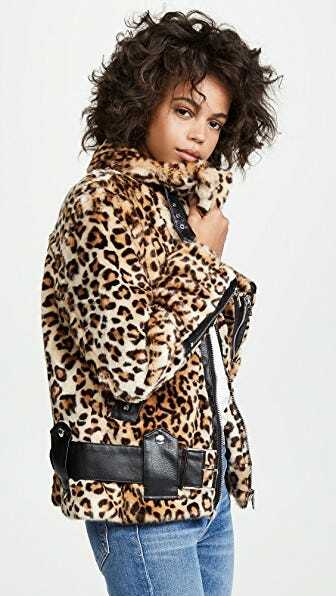 Blank Denim Leopard Print Jacket, $228, available at ShopbopPhoto courtesy of Shopbop. My personal style: Most days, classically feminine and some days, relaxed streetwear. Think cinched at the waist, flowing midi dresses and skirts or tailored high-waisted trousers. Otherwise, I’ll sport an oversized jumper, like this one with loose trousers for a lampshade silhouette. The item I’m over and why: Pencil skirts! When I was fresh out of uni, I thought I needed to start building a corporate wardrobe for interviews. That bizarre fascination with workwear resulted in lots of pencil skirts that I never wear. How I’ll be discarding it: More than likely I’ll be reselling my clothes on Instagram. I’ve done this before (last summer) and it went very, very well. What I’m replacing it with: Fabulous, flowing, feminine dresses! & Other Stories Asymmetrical Ruffled Midi Dress, $149, available at & Other StoriesPhoto courtesy of & Other Stories. My personal style: Quick to snap up slip dresses and anything very silky to layer, I will swoon over a really soft sweater and love experimenting with interesting colors. The item I’m over and why: Turtlenecks. I think I’m in the minority here when I say that I am really not into turtlenecks anymore — I jumped on the trend when it was on the rise but I just couldn’t make it work for me. Every way that I styled it ended up looking disproportionate on me so I’m cutting my losses. How I’ll be discarding it: I’ll be donating it to the Goodwill. What I’m replacing it with: I’m going to replace it with backless sweaters which have slowly become my latest knitwear obsession after seeing it at a press preview the other day. I also am starting to gravitate towards a streamlined knit that is sleek instead of a chunky one that may keep me warm but leaves me feeling clunky. Live The Process Open Back Knit, $228, available at Live The ProcessPhoto courtesy of Live The Process. My personal style: Comfortable! I may be a fashion editor, but you don’t need to be in a full look to write articles on a laptop. My uniform is black leather Converse high tops, high-waisted trousers (with a wide leg at the moment), black turtleneck heattech tops from Uniqlo, and wool jumpers. I definitely prize fabric quality and fit over trends. The item I’m over and why: Skinny jeans. They are dead, deceased, over. How I’ll be discarding it: I won’t. I’m a terrible hoarder, and if something still fits me well and hasn’t fallen apart, it will be kept for occasions when I don’t want to risk ruining my ‘main’ wardrobe. I’ll wear them for gardening on my balcony, cleaning, walking in the countryside, occasional DIY, and moving house. What I’m replacing it with: I’ve replaced them with wider, straight leg jeans and corduroy trousers. I think they have a more chic profile; they are super comfortable; and I can fit Marks & Spencer thermal long johns underneath to stay cozy in freezing weather. 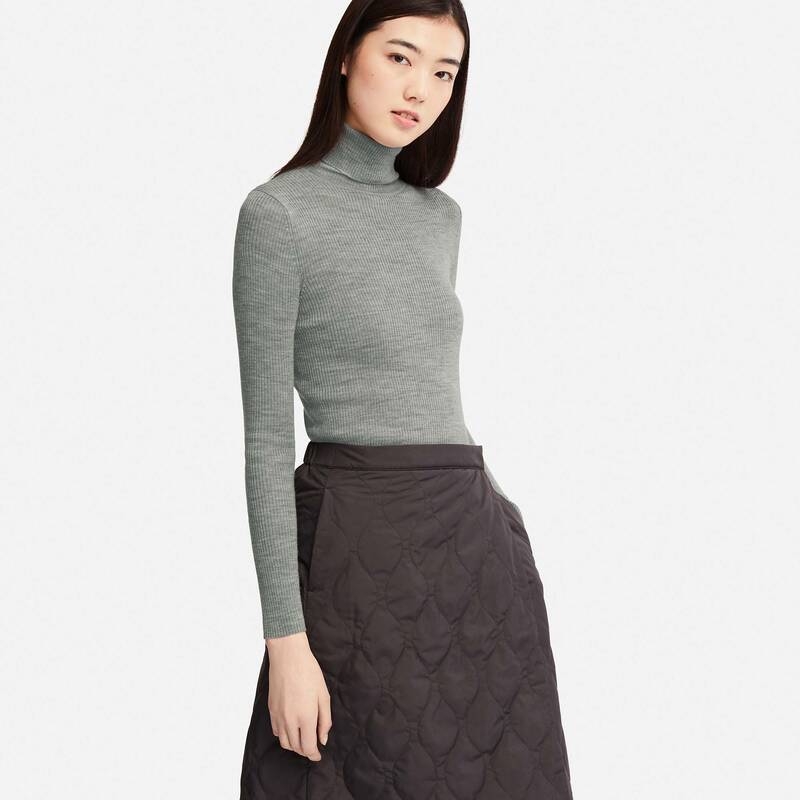 Adam Lippes Cotton-blend Corduroy Wide-leg Pants, $227, available at The OutnetPhoto courtesy of The Outnet. My personal style: Luxury with vintage tendencies. The item I’m over and why: Mid-calf boots. How I’ll be discarding it: Donating to Crossroads! They’re the best. What I’m replacing it with: More sneakers even though I really, really do not need another pair. 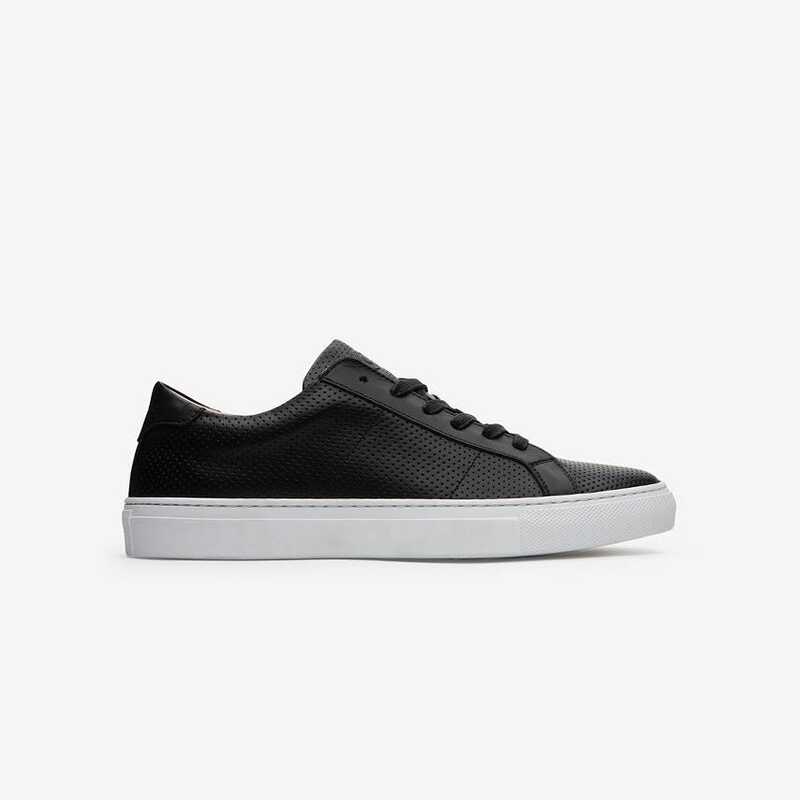 GREATS The Royale Perforated, $179, available at GREATSPhoto courtesy of Greats. My personal style: My style has changed so much since I’ve started traveling like mad for work. Once upon a time it was 90s inspired cyber cowgirl but now that I basically live out of a suitcase, it’s mostly utility pieces with a little bit of fun sprinkled in. Hopefully once I settle back in NYC for Fall/Winter I can find the fun and functional again. Time for a total closet overhaul! The item I’m over and why: Overt statement jackets are fun for about three wears. I fall hard for coats of all kind and so have about 12 statement jacket wears total under my belt. It’s time to finally ditch the printed, pearl-encrusted (yes, seriously), and impractical jackets in favor of settling on forever toppers that I won’t get sick of. How I’ll be discarding it: I’ll likely sell to Consignment Brooklyn and then donate the rest to GoodWill. As a regular thrift/consignment shopper (there’s no shame in it, ladies) I love the idea of someone treasure hunting a piece I’ve loved and worn. What I’m replacing it with: Classic yet cozy outerwear that doesn’t bore me. 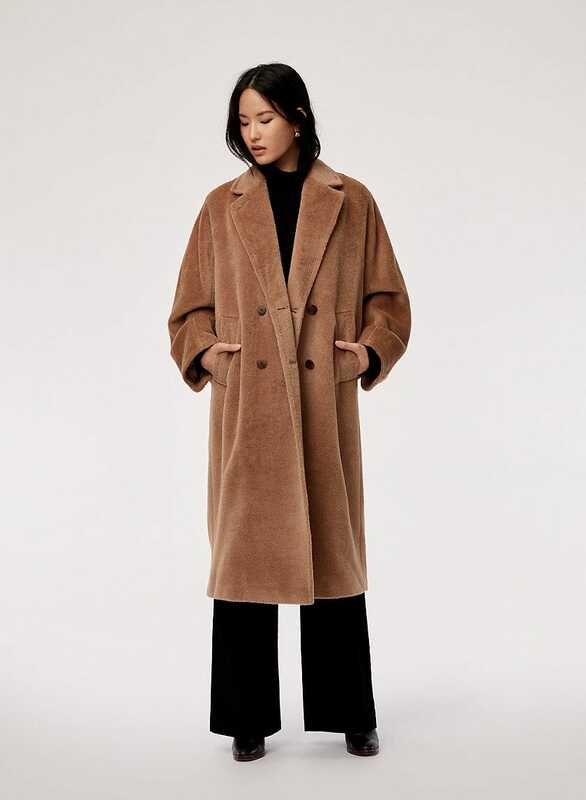 This Aritzia number does the trick because it’s the perfect, rich caramel color, is structured, yet has enough texture and chunk to keep my interest this season and for seasons to come. Babaton Jerome Wool Coat, $528, available at AritziaPhoto courtesy of Aritzia. My personal style: My style is best described as simple with spice — I stick to well-made basics (soft tees, denim, and sweaters), in mostly neutral hues that I’ll jazz up with splashes of retro accents (I’m all about the ’70s). Think: chunky gold accessories, high-waisted denim with flair, wrap skirts to dresses and tops, statement sunglasses, or my all-time favorite, a bold lip (alternating seasonally from orange to red). The item I’m over and why: I never thought I’d say it, but I am so OVER white button-downs. In theory, they’re classic, crisp pieces begging to be effortlessly worn with a pair of jeans, loafers, and a swatch of red lipstick — but in reality, they get wrinkled after one wear, the armpits quickly tarnish, and the never tuck smoothly into my jeans or under my sweaters quite the way I’d like them to. Plus, I’ve bought one too many and now they mock me. How I’ll be discarding it: I always offer my closet edits to close friends or roomies before bagging them off and shipping them out to thredUP, a fast and easy fashion resale site. 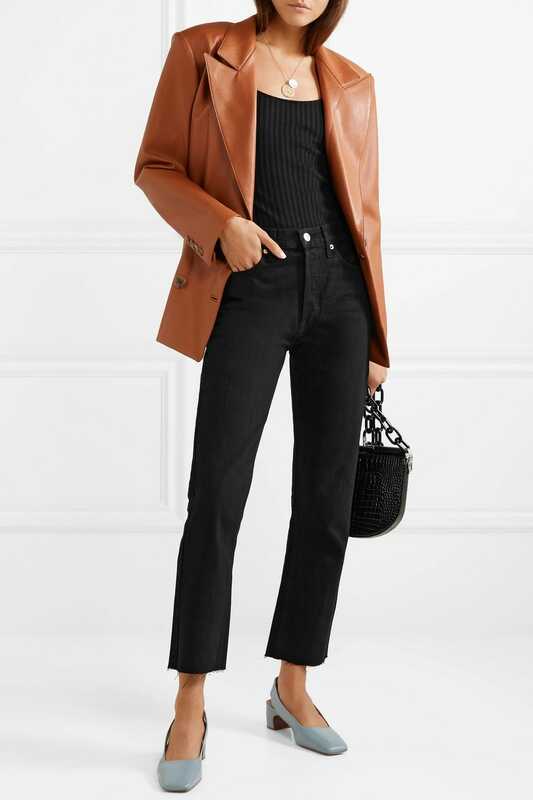 What I’m replacing it with: Form-fitting turtlenecks in neutrals (but maybe staying away from white) — just as classic as the button-down, but much less likely to wrinkle, tarnish, and mock me while attempting to tuck into pants or under sweaters this season. Uniqlo Extra Fine Merino Ribbed Turtleneck Sweater, $29.9, available at UniqloPhoto courtesy of Uniqlo. My personal style: If Disney and Urban Outfitters shook hands for an ongoing, trend-driven collaboration, it’d look like my closet. I love mixing both sporty and feminine silhouettes with unexpected touches of fun and ~*magic*~. The item I’m over and why: Over the last couple of years, I fell hard for off-the-shoulder tops. It was fun while it lasted but the cold shoulder trend has got to go for now. I’m finally ready to admit it was annoying to try and keep the shoulder fold from riding up to my neck throughout the day. How I’ll be discarding it: I’ll be trucking my many off-the-shoulder tops to the one secondhand shop where all good trends go to retire: Beacon’s Closet. The Brooklyn and Manhattan mecca is the best spot to exchange one tired trend for one that may slowly be coming back. What I’m replacing it with: Chunky belted cardigans worn as tops are the latest obsession to cross my shopping carts. They’re extra comfy and the cinched waist is a good antithesis to my usually bulky and oversized fall wardrobe. Pixie Market Blue Belted Cardigan, $109, available at Pixie MarketPhoto courtesy of Pixie Market. My personal style: If I could live in a pair of vintage jeans, a white t-shirt and a blazer I’d be set for the rest of my days. What can I say, I’m a sucker for a good routine. But I still like to experiment here and there — including the regular use of men’s swim trunks and cowboy boots in my wardrobe. The item I’m over and why: For the last three summers or so, I’ve pretty much lived in mules. But as the season came to an end, they all just started blending together and getting, well, boring. How I’ll be discarding it: I know what I should do when it comes to tossing my giveaway clothes, which is organize them and sell them at the platform where I’ll get the most money. But unfortunately, I haven’t quite mastered the whole eBay thing, so I typically just end up bringing my cast-offs to Beacon’s Closet and donating the rest. What I’m replacing it with: I’m currently searching for a good pair of mid-calf boots. Unlike mules that you can really only wear from May until September, with a few outfit tweaks, boots can we worn all year long. They’re high enough that you don’t have that awkward inch of skin between your boots and your pants and they don’t take over an ensemble like knee-high boots do. I’ve got my eye on a pair from Miista, but plan to wait and see if they go on sale somewhere before making the splurge. 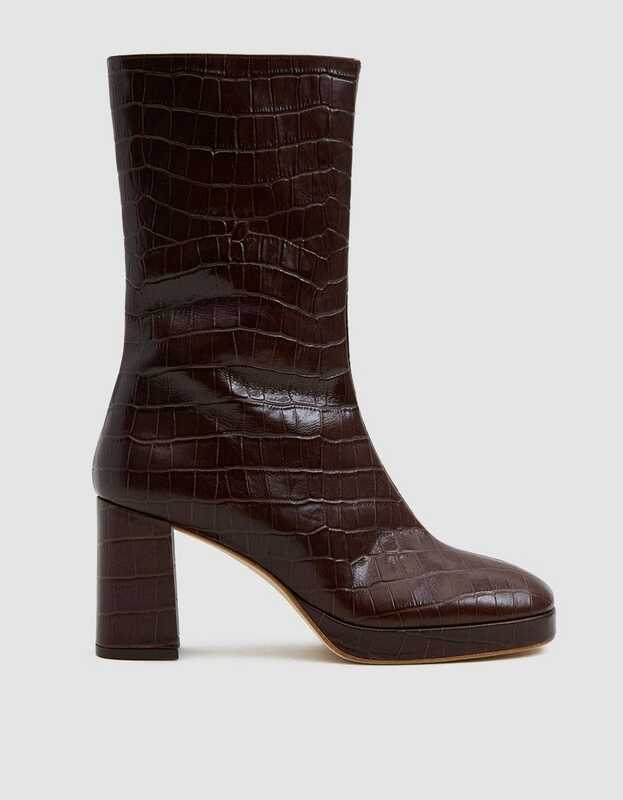 Miista Carlota Croc Mid-calf Boot, $400, available at Need Supply CoPhoto courtesy of Need Supply Co.
My personal style: I love to wear one-of-a-kind pieces and most of my closet is vintage or thrift. I lean towards poppy colors but with a more masculine fit. The item I’m over and why: I was obsessed with body suits — every kind. They were normally tight and tucked into a lot of pieces. I’d wear them to work, going out, and they’d be in all sorts of shapes and colors. While basics will never be obsolete, I am opting for a different look this season. What I’m replacing it with: Maybe it’s being inspired by Queer Eye, but this season I’m looking for cool graphic tees (thanks, Antoni) with a nice french tuck (looking at you, Tan) and lots of fun oversized blazers. If it’s all about layering, I want every piece to count. 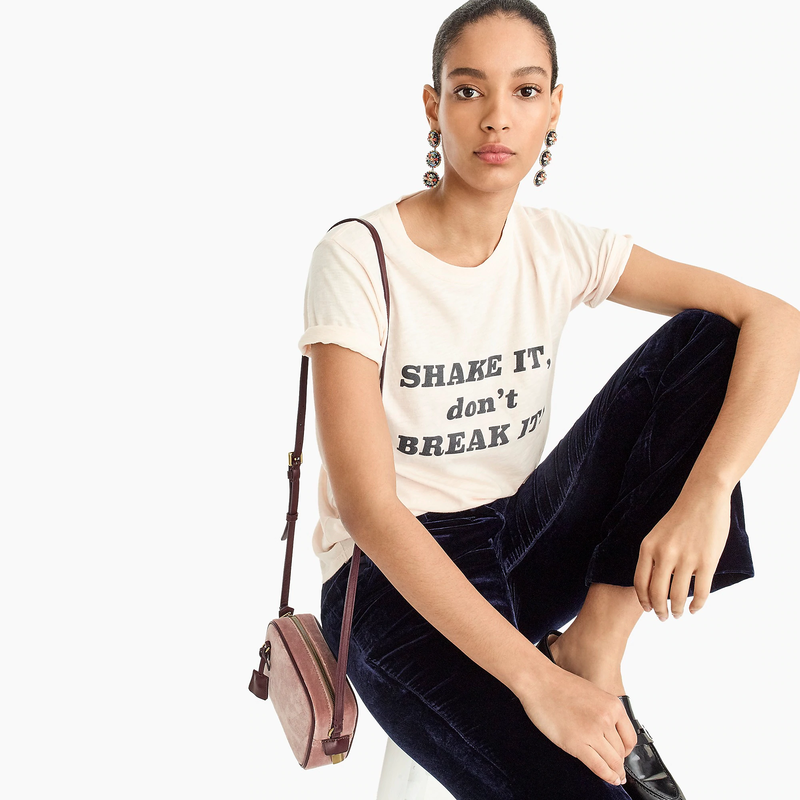 J.Crew “Shake it don’t break it” T-shirt, $34.5, available at J.CrewPhoto courtesy of J.Crew. My personal style: My style is ’60s mod meets New York vintage — if Marcia Brady and Jane Birkin shopped at Beacon’s Closet. Think printed mini dresses, knee high boots, high waisted jeans, and perma-winged liner. The item I’m over and why: I went through a big French-girl phase last summer and bought one too many patterned wrap dresses. While they’re very fun ‘n’ flirty, they feel slightly dated to me now. How I’ll be discarding it: Straight to the Salvation Army! I live right by their NYC headquarters and like to do a big closet purge at least once or twice a year. If you’ve ever spotted a small girl carrying a giant bag up and down 6th Avenue, that was probably me. What I’m replacing it with: Lately I’ve been wanting to mix it up from my typical, more feminine silhouettes and embrace what I usually tend to avoid: pants. 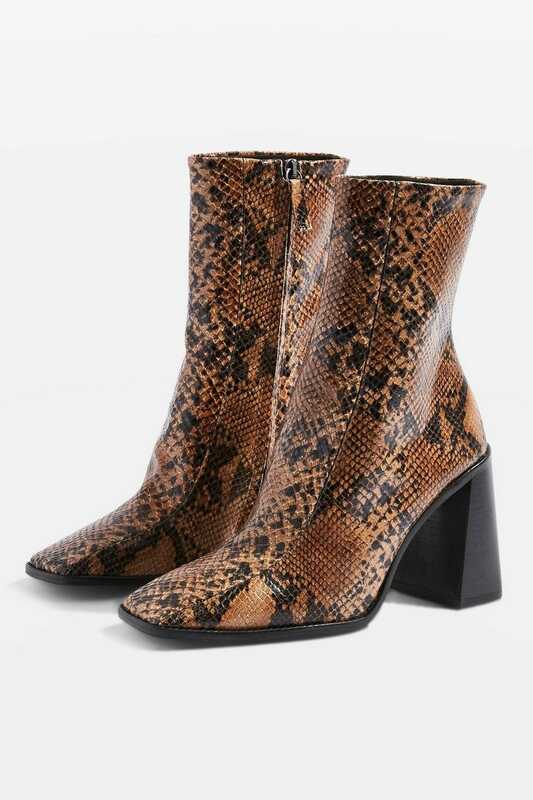 I’m dying to try out these snakeskin flared ones that I saw a Very Cool Girl wearing on a recent night out. 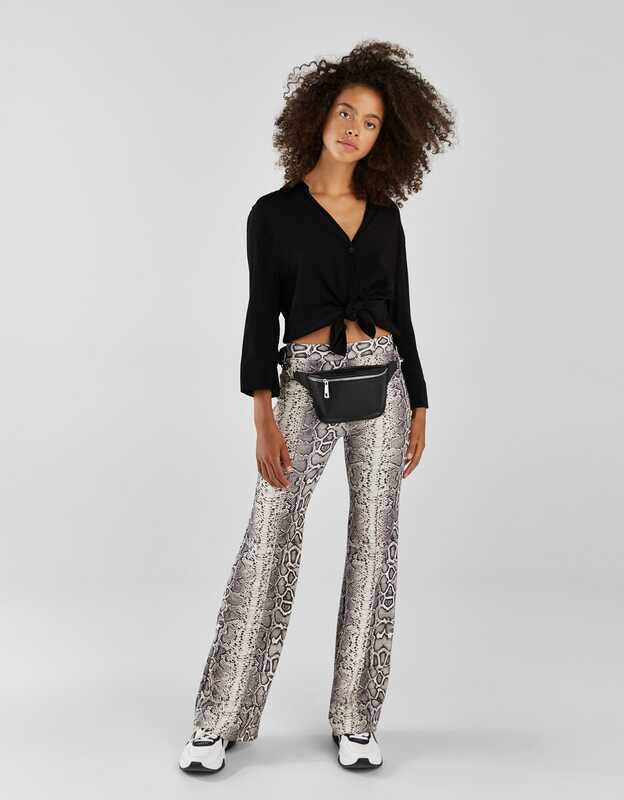 Bershka Snakeskin Print Flared Pants, $35.9, available at BershkaPhoto courtesy of Bershka.